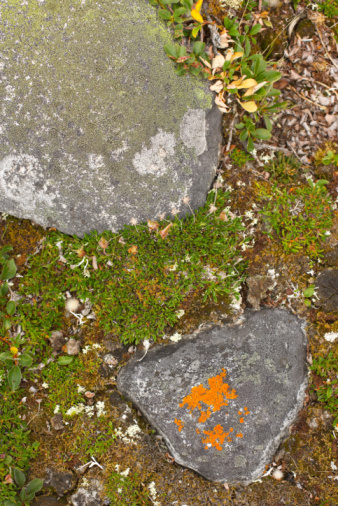 Growing moss on surfaces such as rocks, statuary or the ground lends a cool, refreshing look to otherwise barren shade areas. 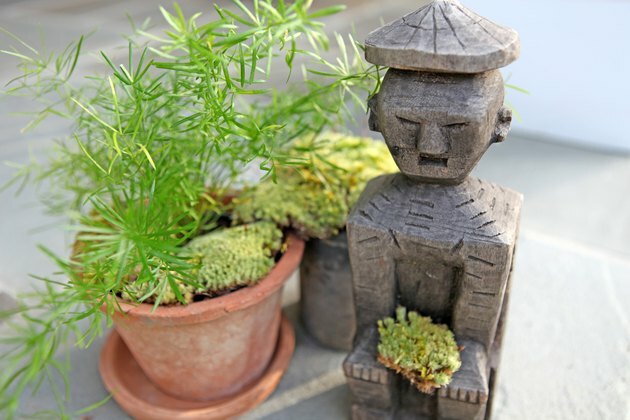 Moss can also be grown on statuary or porous containers to add a vintage, antiqued effect. The acidic nature of buttermilk provides an ideal medium for growing moss in the garden and helps bind it to the surface during growth. You can even spell out words or childrens' names for a whimsical, mossy remembrance. 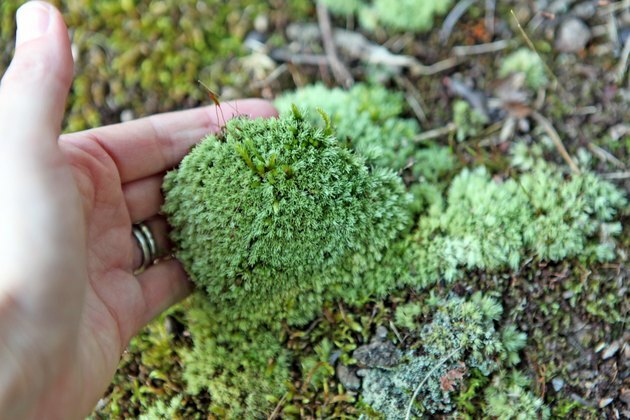 Peel a piece of existing moss the size of your hand off the ground. 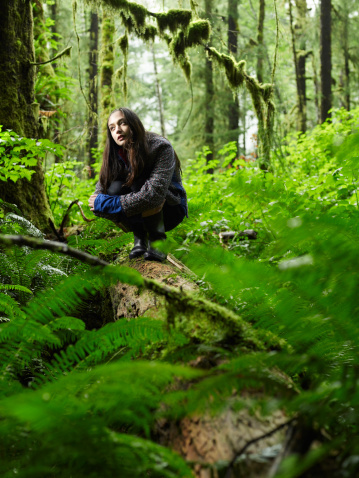 Brush as much dirt as possible off the back of the moss with your fingers. 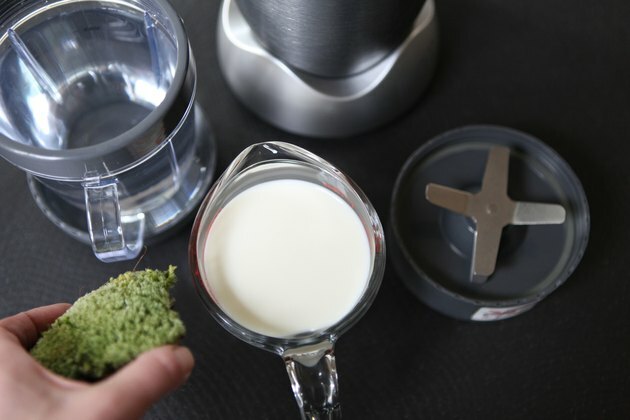 Place the moss in a blender with 2 cups of buttermilk, 1/2 teaspoon sugar and 2 cups of water. Pulse the mixture until it resembles creamy soup or a milk shake. Add additional water if needed. Pour the mixture evenly over the area where moss is desired. 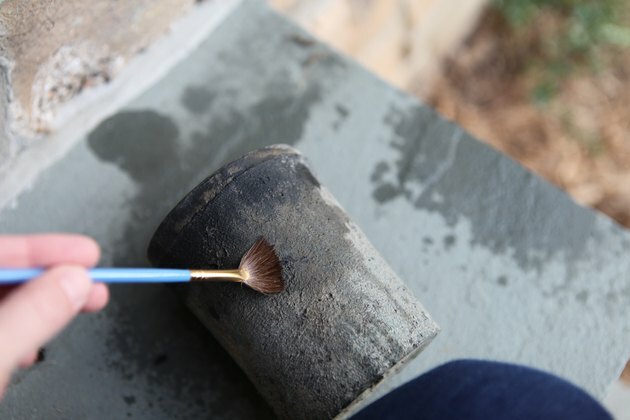 If growing moss on statuary or other hard surfaces with vertical faces, use a clean paint brush to paint the mixture on. The brush allows for specific shapes, including letters. 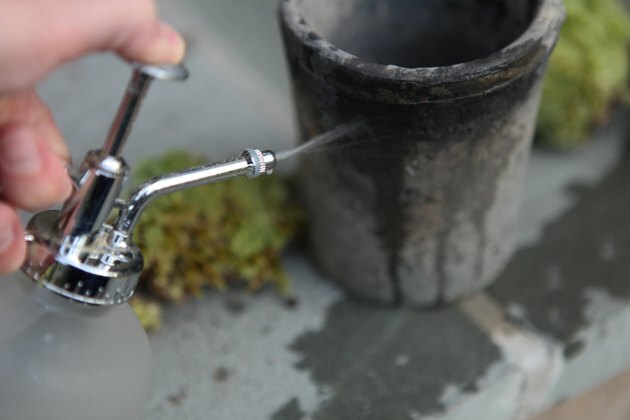 Spray the moss-covered area with a spray bottle of water or a garden hose set to a fine mist. Continue until a carpet of moss has established.